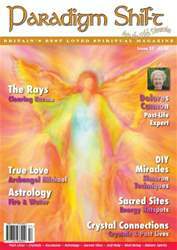 Featuring in this issue: Interviews with Past-Life Regressionist and Author, Dolores Cannon, and Spiritual Teacher Sonia Choquette. Crystal Connections talks about those crystals that can help us access our past-life experiences. 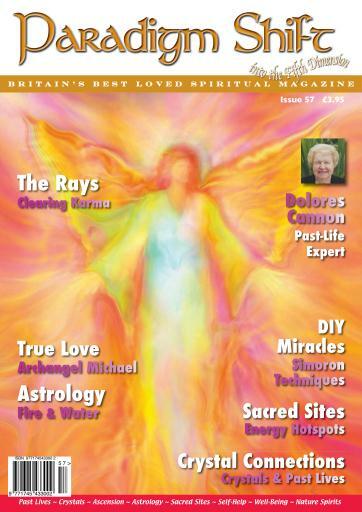 Edwin Courtenay shows us how to work with the Divine manifestations of light known as the Rays. Alison Chester-Lambert talks about the mysteries of Fire and Water with the Sun in Cancer. Joanna Bristow-Watkins explains what happens to our energy fields when we visit sacred sites. How to create your own DIY Miracles with Simornon Techniques, the school of 'fun magic' popular in Russia at the moment. Ronna Herman and Archangel Michael talk to us about learning how to love and respect ourselves.